NEST Application Form 2019 - The NISER Bhubaneswar and University of Mumbai have closed the applications window of NEST 2019 application form on March 18, 2019 (midnight). 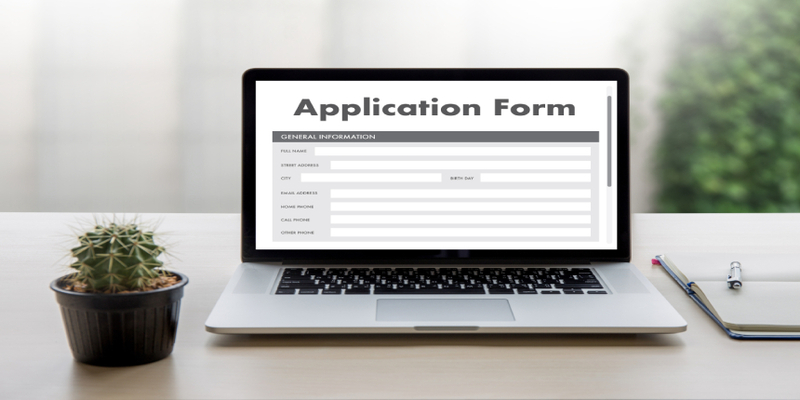 NEST application form 2019 was released on January 7, 2019. The application form of NEST 2019 was available only in online mode. The admission process of NEST 2019 is classified in four steps beginning with the NEST registration. Candidates were required to first complete the NEST 2019 registration process after which they were directed to the online NEST application form 2019 link. Candidates were required to upload the scanned image of their passport size photograph and signature in the application form of NEST 2019. 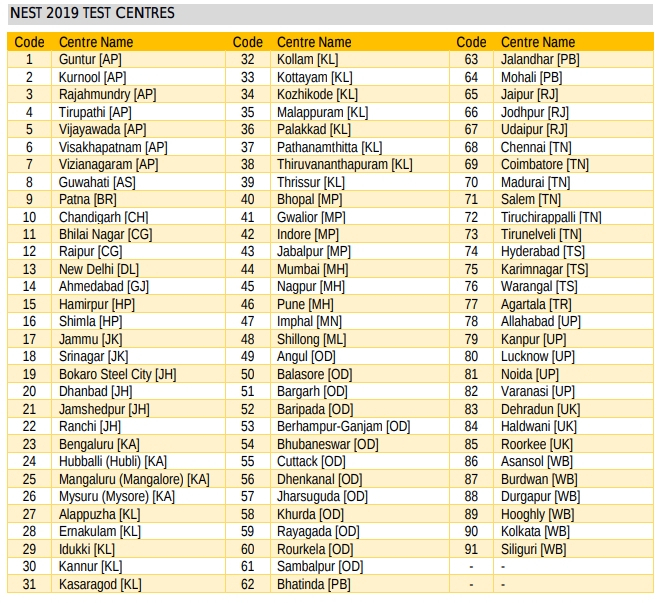 The National Entrance Screening Test is a computer-based exam which will be held on June 1, 2019 across 91 cities of India. Read more to understand the steps to fill the NEST application form 2019 along with the application fee details of NEST 2019. Candidates who wish to apply for the integrated M.Sc programmes must have completed their Class 12 qualifying examination or equivalent from a recognized university with minimum 60 percent marks in case of a general or OBC category student, while candidates who belong to the SC/ST category need to secure a minimum of 55 per cent marks in their qualifying examination. Candidates must have qualified Class 12 examination in 2017 or 2018. Candidates who are appearing for Class 12 examination in 2019 are also eligible to apply for the test. Candidates who wish to apply must be born on or after August 1, 1999. There will be a relaxation of 5 years in age limit for SC/ST PwD candidates. The MSc aspirants are required to keep the following things ready before filling the NEST application form 2019. After entering all the details click on ‘Register’. Candidates received a Username and Password on the registered mobile number. Along with this, an email containing the login link was sent to the registered email ID. After logging in candidates were able to fill the NEST Application Form 2019. After logging in candidates were able to see a pre-entered non-editable Form which will contain the details entered during the registration step. Here candidates were able to select an exam centre city of their choice and convenience from the drop-down box provided to them in the Application Form. Candidates were able to give up to five preferences. Candidates could submit the NEST application fee through either Credit Card/ Debit card or through net banking facilities. After the payment is processed candidates were directed to a declaration at the end of which they were supposed to click on the ‘I Agree’ tab. After this step, a summary of NEST 2019 application form was displayed. Candidates could now take a print out of the summary for further reference. Candidates could take more print out of the application form of NEST 2019 for further reference. Candidates appearing for NEST 2019 could select up to five exam cities from the drop-down box in the NEST 2019 Application Form. NEST 2019 will be held across 90 cities in the country. A few of the cities are mentioned here. Candidates could choose the mode of payment from the options given. Candidates were supposed to enter the examination city of their choice in the Application Form. Candidates could choose up to 5 exam centre cities in their order of preference. Candidates were able to receive a summary of the Application Form after they hit the final submission button. Q: When is the NEST 2019 application form expected? Ans: The application form of NEST 2019 was released on January 7, 2019. The registration was closed on March 18, 2019 (midnight). Ans: Candidates can opt for up to 5 exam centres in the application form. Q: What is the size of the photograph and signature to be uploaded? Q: Can a candidate appearing for their class 12 examination in 2019 apply for NEST? Ans: Yes, candidates who are about to appear for their class 12 board exam this year are also eligible to apply for NEST 2019. Ans: Candidates who wish to apply for NEST 2019 must be born on or after August 1, 1999. A relaxation of 5 years is applicable for SC/ST and PwD candidates. Ans: Male candidates belonging to the general and OBC categories must pay an application fee of Rs 1200. Female candidates from all candidates and male candidates from the SC/ST and PwD categories must pay an application fee of Rs 600. Q: Can the application fee be submitted offline? Ans: No, the application fee has to be paid online through either credit or debit card or through net banking services.